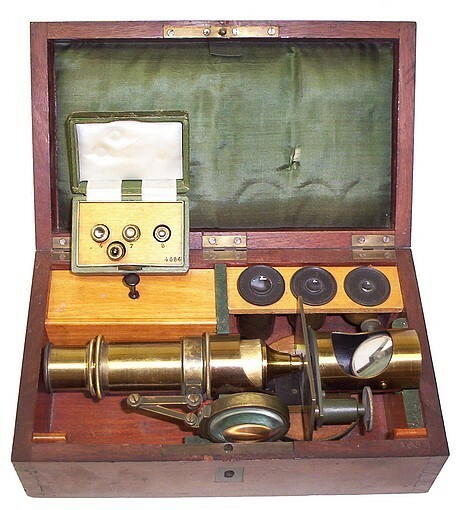 This drum microscope is supplied with four objectives that are stored in a leather covered wood case, three eyepieces, and a stage bullseye condenser. The main focus is accomplished by raising or lower the inner tube as needed. The fine focus control is located under the stage and moves a upper stage plate. 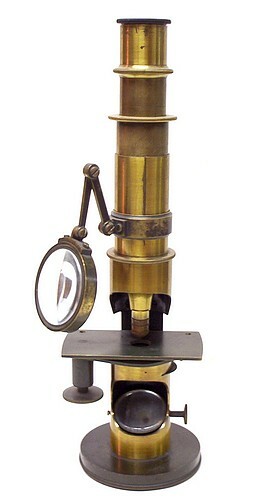 The height of the microscope can be extend by raising the draw-tube.